Hi friends! When I was going through my stash looking for sequins for a card yesterday I realized that I had a problem. Luckily my problem was not a lack of sequins! That will probably never be a problem because it seems like sequins breed when you are not looking or my buying outpaces my using. Who can say? 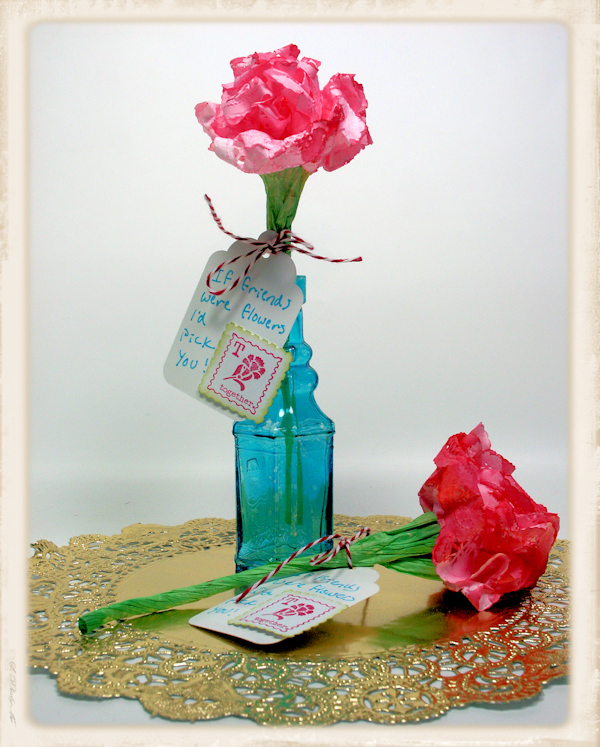 If you too have a sequin problem you will love today’s project, a fun shaker card using stamp from our sponsor ArtNeko! Deal Alert! *Save 10% off your next order of any size or get free shipping on orders over $50 (whichever discount is greater you get!) just by mentioning thefrugalcrafter! Visit ArtNeko here. 1. Score a 8 1/2″x5 1/2″ piece of white cardstock at 4 3/16″ and 4 5/16″. 2. Stamp head duo, mask it and stamp polka dots on top. Sweep with ink and a stipple brush. Also stamp a 4 1/8″ x 5 1/2″ panel with dots. 3. Remove ask and cut out inside of hearts. 4. Fill a clear plastic bag with beads and sequins and tape behind openings in heart. 5. Adhere stamped panel behind baggie using foam tape. 6. Embellish or add color to front of card if desired. I hope you enjoyed this quick and easy shaker card and you try one for yourself! Happy Crafting! Stamp School: Intro to Mixed Media & Watercolor Powders! Hi friends! I hope you are having a wonderful week! I had a really fun time working on tonight’s project. It is a mixed media card and the thing I love about mixed media is that anything goes! I even used the scratch paper that protects my table to make the envelope! Watch the video to see how! Supplies can be found at our sponsor Lost Coast Designs. Mention TheFrugalCafter in the comments if ordering any stamps or watercolor powders from Lost Coast Designs and save 15%! Discounts will be deducted before they run your credit card or refunded if using PayPal. ***And anything you like! There are no rules, use what you have and most of all have fun! As promised here is a swatch of the Nuance pigment watercolor powders, they are available in a set of by the pot. I have the set and the color names were not on the containers but you can tell the colors going by the chart on their website. Here is the link to the butterfly card tutorial, I used Mod-Podge as a resist instead of embossing powder on that one. 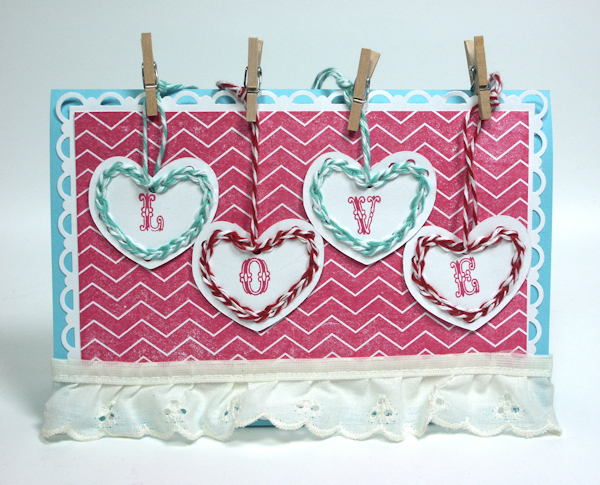 Think of all of the supplies you have and how you can incorporate them into your next card! Thanks for stopping by and til next time happy crafting! Watch this quick video to see how it’s done, let’s get inky! If you want to see the tutorial for the DIY spray inks and daubers you can find it here. I used 6″ paper doilies, twisted paper cord, tags and baker’s twine from Papermart on this project. These are supplies I find myself using over and over for projects. They are great to have around and so inexpensive you won’t worry about the kids using them for their crafts too! I hope you enjoyed this sugar-free Valentine! Til next time happy crafting! I used supplies from Papermart for this affordable craft. I love how they are three dimensional but so easy to make, you can easily whip up a bunch of these for classroom valentines or even classy wedding favors. There are so many options depending on what paper, doilies, ribbon, tulle, raffia and flowers you choose. And the generous amount of supplies in a package and low prices at Papermart are perfect for making these lovey favors in bulk for any event. Thanks so much for stopping by, I’m sure you were expecting the latest Ask A Crafter but it is still uploading (in 2 parts) I’ll be back with that tomorrow or if you get impatient you can check my YouTube channel later tonight. Til next time happy crafting! Tool Organization Tip and another Quick & Easy Valentine! 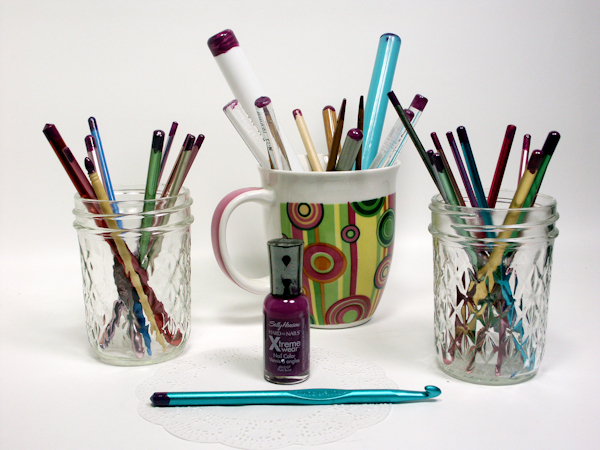 Paint the ends of your crochet hooks, paint brushes, pens or other tools with a vivid color of nail polish so at the end of a class or crop you can tell what tools are yours! On larger items I might write my initials with a sharpie or stick an address label on them but the nail polish trick is perfect for stuff too small to write on. Now all I have to do is give the hooks a good Lysol wipe down as many of them came back quite sticky…why are small children so sticky anyway?!? I saw the cutest idea for a valentine on the Purl knitting blog the other day, it was a paper heart with a chain of crochet in the shape of a heart on it. There were no instructions but I was determined to figure it out so Tuesday while I was snuggling on the couch with a sick kiddo I grabbed a crochet hook, cardstock and a paper punch and figured it out! 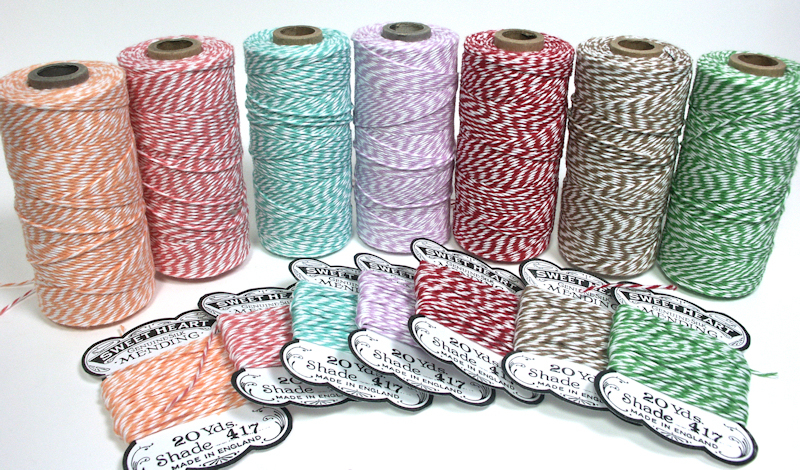 Then I wondered, how cute would it be to do this smaller with my Papermart bakers twine? As it turns out, very! Best of all it is a pretty quick project! I made a short video to show you how it is done. 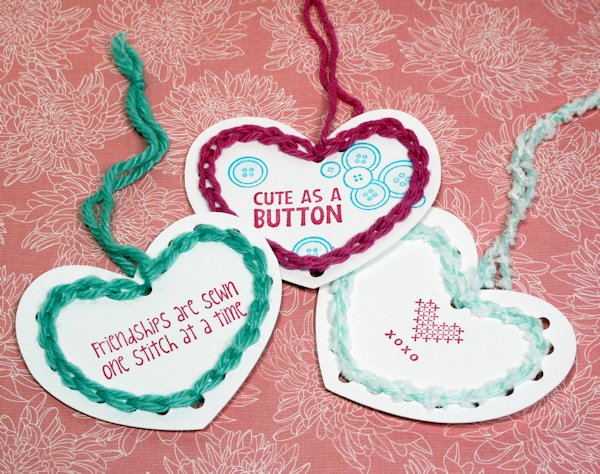 In the video I use a larger cardstock heart and yarn to make it easier to see but you can use whatever you like. Just make sure you can easily work the twine/yarn with the hook and that the hook can easily pass through the punched holes. 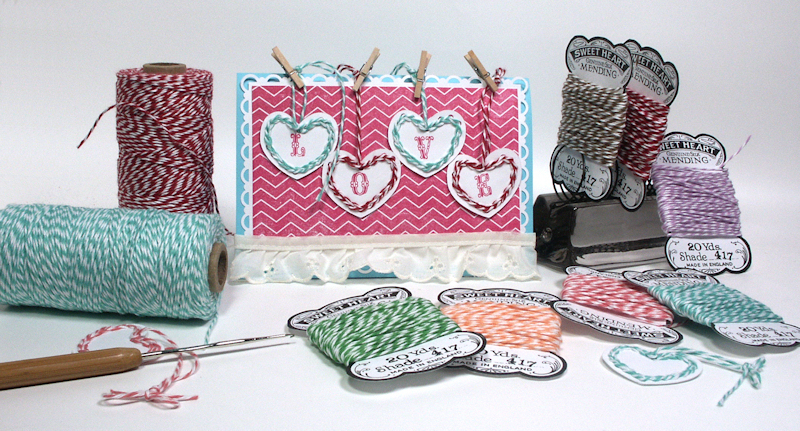 Here is another tip for you, it is much cheaper to buy big spools of bakers twine than the small packs but you might not want to haul the big spools with you so I stamped some cute bobbins (Stamp from Pink Persimmon) and wrapped them with the twine and it fits right in one of the pockets in my scrapbook bag! It is also a great solution for yarn scraps and fibers, they won’t get tangled and they will look cute so you will be more likely to want to use them! I hope you enjoyed this project. I think I might teach the kids in my knitting group this, it is a great intro to crochet since you don’t have to guess what stitch to put your hook through, the paper holes are the foundation! If you have any questions leave a comment, I know I am not the best at filming yarn crafts but hey, I kept it all in frame this time, points for that! Thanks for stopping by and til next time happy crafting!